A Liberal's Libretto: New York City Opera invites you to shop for a great cause. New York City Opera invites you to shop for a great cause. It's hot. And no, I don't mean the picture above. Although, it is pretty flawless ... I love a Zandra Rhodes sketch. I'm sitting at my desk and the AC is out on my floor ... so, I'm hot - and, for those who don't know me personally - I loathe, detest and abhor being hot. But, I will put aside my sweaty-ness, take another guzzle of my Diet Pepsi and bring you Ladies (slash, some of you Gents) some important news from New York City Opera. 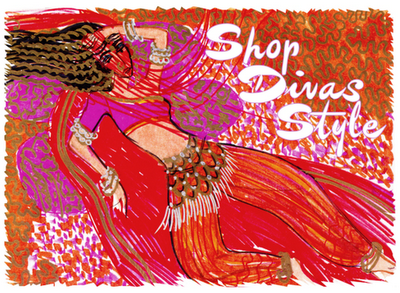 Clear your calendars on the evening of June 6th because NY City Opera just announced that DIVAS Shop for Opera will take place on that day from 5:00 - 10:00pm at 82Mercer - located in the heart of Soho at 82 Mercer Street - that's between Spring and Broome Streets. Purchase a $375 VIP ticket and you, too, can mingle with fellow VIP-shoppers, sip cocktails, enjoy hors d’oeuvres and enjoy a 10% discount on the event's diverse selection of donated vintage and designer clothing and accessories. Oh! And, ps: you wont leave empty handed - there are gift bags. Past donors to this worthy cause - which benefits costume design and creation for NY City Opera - have included Bill Blass, Nanette Lepore, Versace, Manolo Blahnik, Zac Posen, DKNY, Luca Luca, Zandra Rhodes (who has designed opera productions herself), Carmen Marc Valvo, Vera Wang and then some. Tickets are now available online or by calling the New York City Opera Ticket Services Department at 212.870.5600. 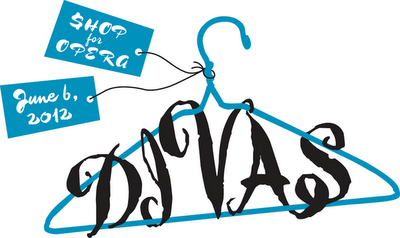 Photos from previous DIVAS Shop for Opera events.